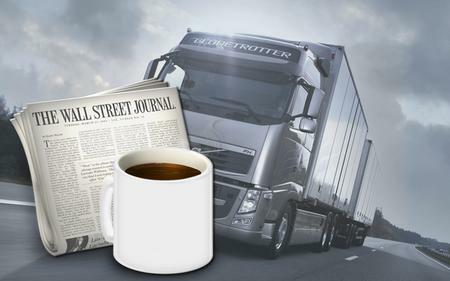 According to European Road Freight 2008, the latest report by Ti, that market is facing a period of great uncertainty, characterised by spiralling fuel prices, customers unwilling to accept higher costs and fears of an economic slowdown. At the grass roots level, this is resulting in many small and medium players being pushed to the limit as they are forced to absorb costs which their operations can not support. However, analysis by Ti shows that not all parts of the sector are typified by negativity. The market leaders are continuing to invest heavily, with significant mergers and acquisition activity, albeit with patchy profitability. Kuehne + Nagel, Schenker and DSV have been amongst the most aggressive, building scale and networks across the region. The report observes that Central & Eastern European markets will see the highest growth over the next five years, with levels reaching as high as 26 % in Slovakia. This is a result of a vibrant supply side, huge investment in production by Western manufacturers and increasing domestic demand. This compares with a Europe-wide annual growth rate of 6.6% over the same period. The report also identifies that the international road freight market will significantly outstrip its domestic counterpart, benefiting from the trend towards extended cross-border supply chains which will see more freight moving longer distances, especially in and out of the Central & Eastern European countries. Ti forecasts that the international road freight market will grow at an annual average rate of 9.8% over the next five years. Ti's chief analyst, John Manners-Bell commented: "The European road freight market is becoming ever more challenging for all operators struggling to pass on cost increases to their customers. However, the major European players, especially those with strength in fast growing Central & Eastern Europe, are at a distinct advantage. Scale is definitely key to success – and even survival – in the present market conditions."